There are places that "naturally" charme you and leave such a strong mark in your mind and your heart to make you want to go back and find a way to permanently move there. Sicily has plenty of this kind of locations and, over the past few years, the South-Eastern part of the island has equaled in popularity the Chianti area in Tuscany, often referred to as Chiantishire due to the number of English-speaking people moving there. The immediate consequence of the recent "discovery" of this beautiful area at the center of the world, right between Europe and Africa, is a general growing interest in its real estate market. Northern Italians and foreigners who fall in love with the area, its climate, its beaches, its breathtaking landscape, its history, art and cuisine, come back to buy properties driven by the desire to share that “perfect” slow pace of life so well mastered by Sicilians. The most popular part of Sicily, from this point of view, is the South-Eastern area accross the provinces of Ragusa and Siracusa, which has the highest number of UNESCO world heritage sites in Sicily, known as the Val di Noto. This area offers an exceptional concentration of architectural beauty, enchanting nature and culinary excellence. This area has also become a popular destination for many celebrities and affluent business people, who fell under the spell of its Mediterranean beauty. According to rumours within the real estate community the list of VIP who invested in properties in this area include Italians such as businessman and editor Carlo De Benedetti, architect Carlo Pintacuda, designer Rodolfo Dordoni, actor Luca Zingaretti , musician Lucio Dalla, journalist Gad Lerner and foreigner celebrities such as Robert De Niro, Leonardo DiCaprio and Tom Cruise. In this context, the increasing demand for residential buildings to be renovated or turned into facilities for tourism does not come as a surprise. In the countryside, characterised by the typical dry stone walls, olive groves and giant carob trees, many rural buildings, country houses, farms and ancient villas have already returned to their old glory thanks to investors and their hard work. Many buildings have already undergone a careful and rigorous restoration project, which included the choice of materials and construction techniques belonging to the local building tradition. Many have been turned into holiday homes, farms, cottages and boutique bed and breakfast, into true havens of peace and tranquility, away from the city noise. However, even buildings located in the historic centres of cities such as Modica, Ragusa Ibla, Scicli and Noto, are quite attractive because of the stunning late baroque architecture and because some people are more interested in getting acquainted with the locals and involved with the social activities in town. 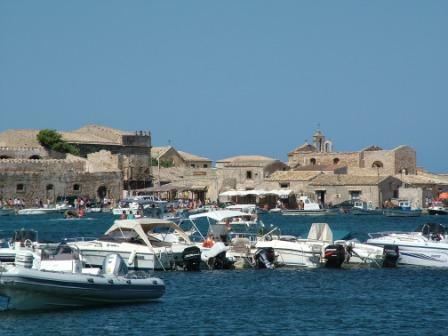 Finally, there are the fishing villages of Sampieri, Donnalucata and Marzamemi. These are very popular with sea lovers who find the fine sandy beaches simply irresistible and are happy even with small houses as long as they offer a fantastic sea view. At this point you wonder: how much does it cost to invest in the area? Is it still a good investment? Well we can say that, at the moment, prices are still fair. Obviously, these will vary a lot depending on the choice of building type, location, size and, especially, the quality of the overall state of the building. These costs can range on average between € 800.00 / m² and 1200.00 € / sqm, and, obviously, are influenced significantly by the design and the choice of materials, equipment, finishes, etc... and can, therefore, be subject to additional charges. To get an idea of the investment required to buy a property in the so popular South-Eastern part of Sicily, we take as an example a typical farmhouse, Masseria, situated in the countryside of Modica, not too far from the heart of the city, which develops on one level, around the characteristic "baglio" (courtyard), paved with limestone slabs. It has a potential total living area of 300 sqm and comes with 6000 sqm of land and requires some renovation work. Its expected selling price would be € 380,000.00. Clearly, if you get in touch with Real Estate Agencies, which in recent years have indeed multiplied in the area, you can also find properties for sale at lower or higher prices in their portfolio, sometimes already restored. In order to avoid bad experiences, it is always advisable to invest in hiring a local consultant who can represent you or accompany you throughout the process, able to spot any problems with either the building itself, its administrative situation and/or the related paperwork needed for the transaction. Everything depends on your needs and your personal tastes and then what else to say, the choice is yours!